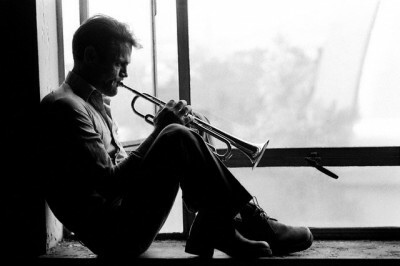 Chet Baker emboided like no other jazz musician a romantic coolness whose mystique involved an alluring strain of danger. 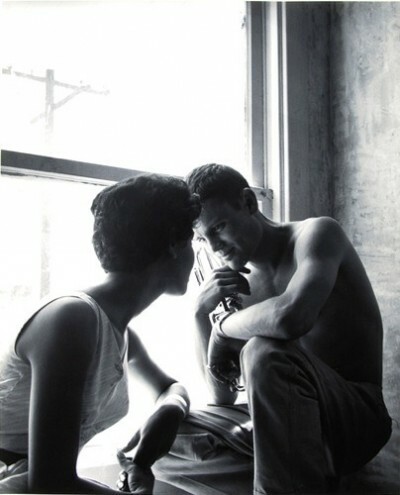 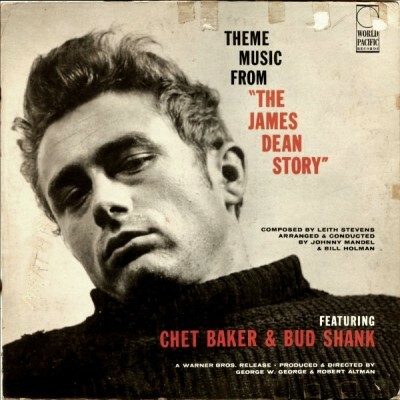 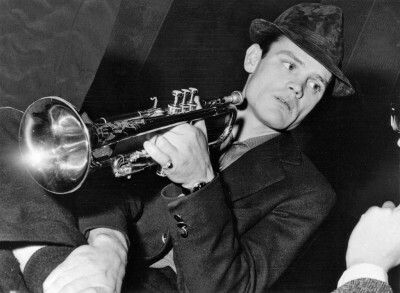 His Hollywood good looks and bad-boy reputation, made Baker the posterboy for West Coast cool jazz. 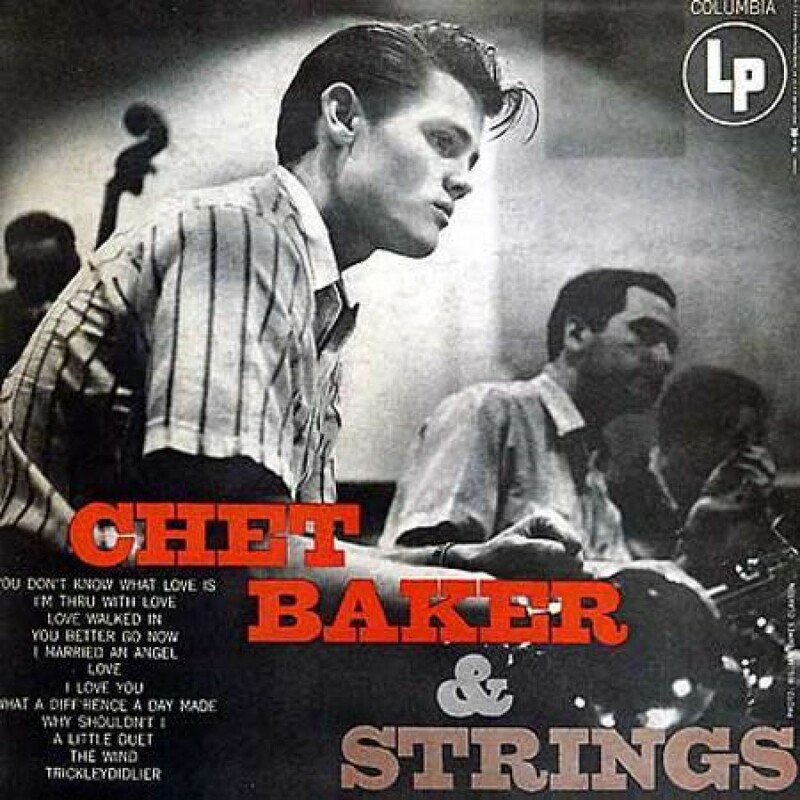 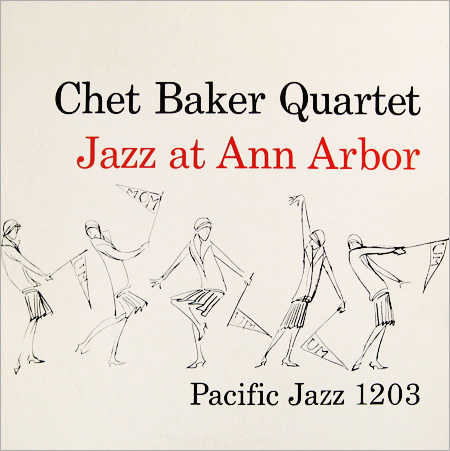 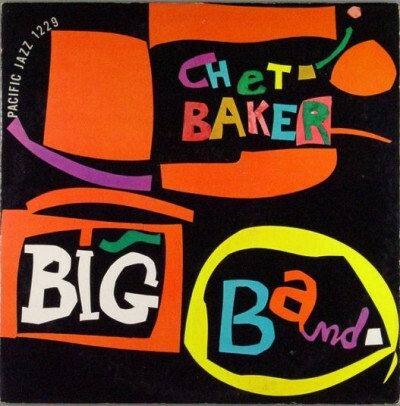 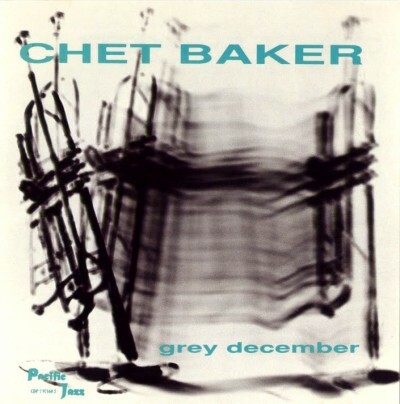 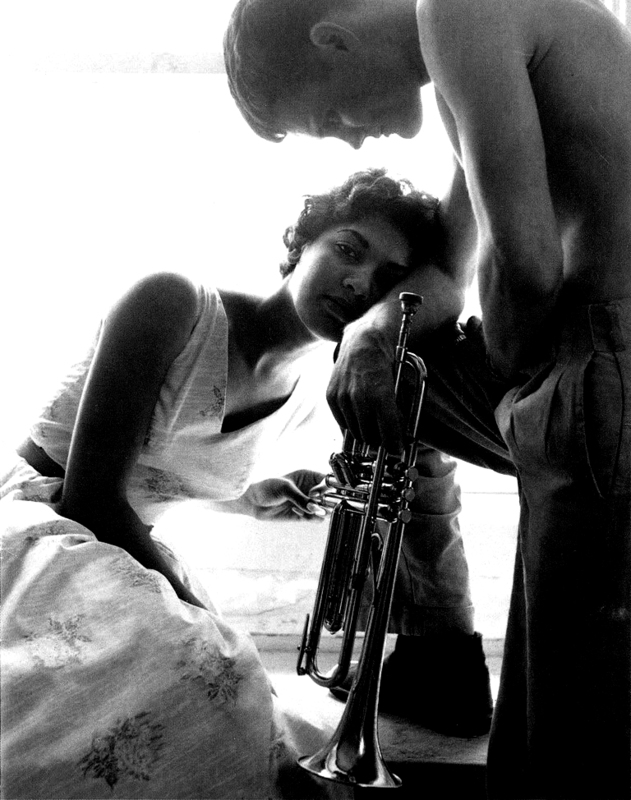 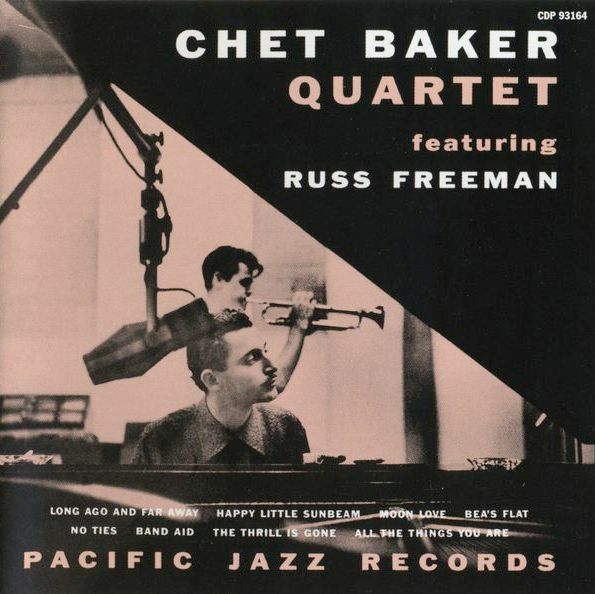 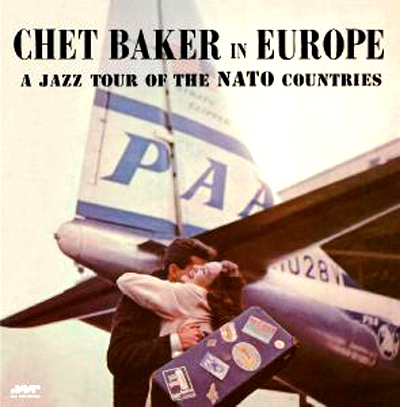 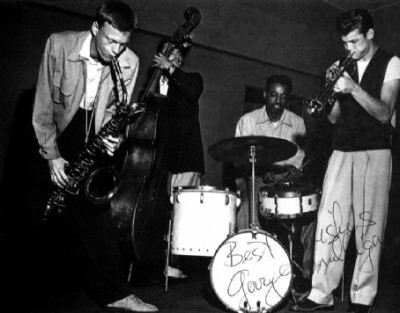 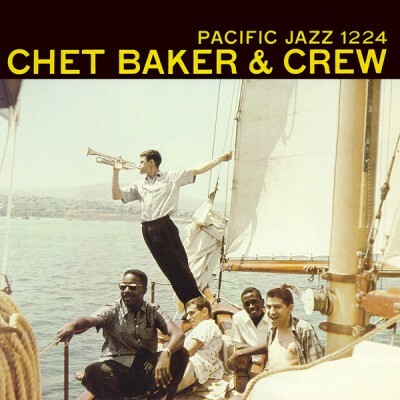 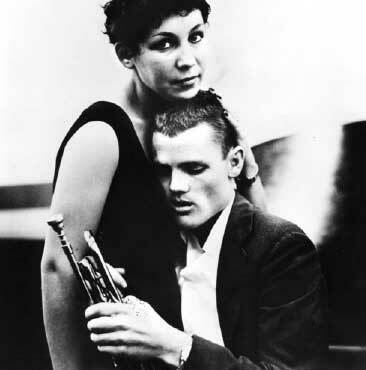 Chet Baker rose to stardom in the 1950s with Gerry Mulligan’s quartet and then as a bandleader, but encountered personal difficulties after developing a heroin addiction. 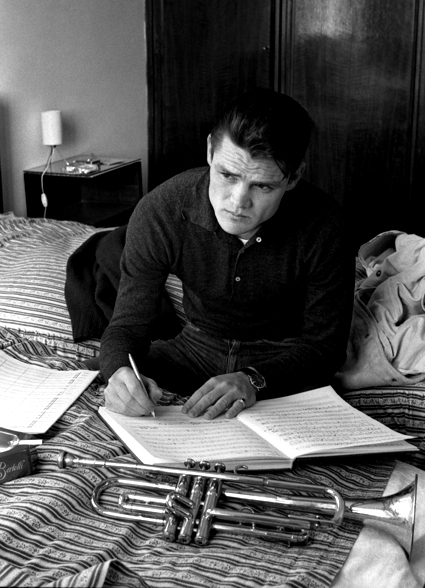 Chet Baker’s style combined restraint with a certain nervous agitation and a strong dose of sentimentality, particularly on ballads. He captured the imagination not only of jazz lovers, but of a general public fascinated as much by his lifestyle as by his music. 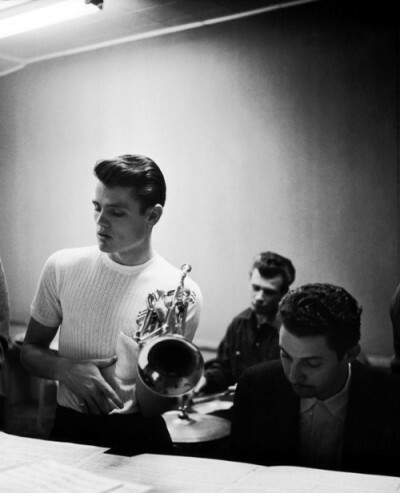 “I like to play in the deep register. 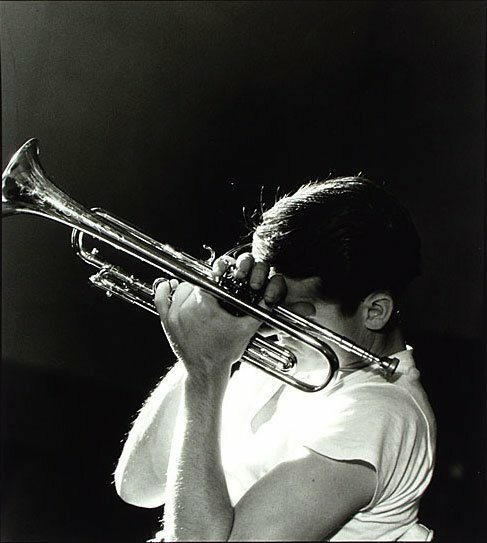 I was never a high-note specialist. 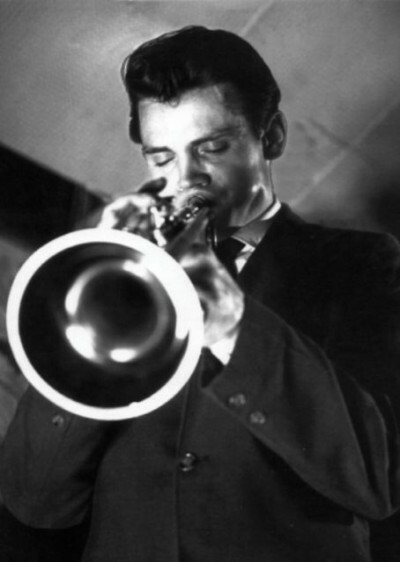 My range goes from the bottom of the horn up to around C or D. High D is about it for me … about two-and-a-half octaves, I think. 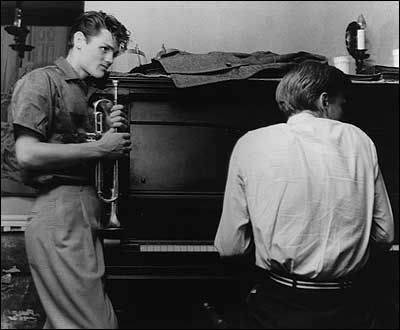 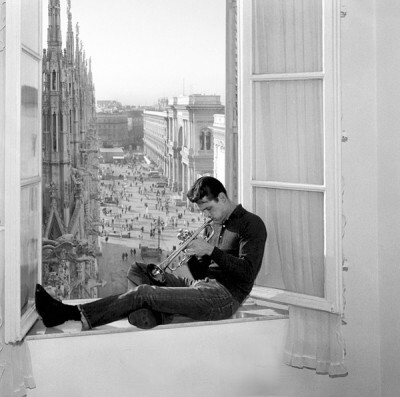 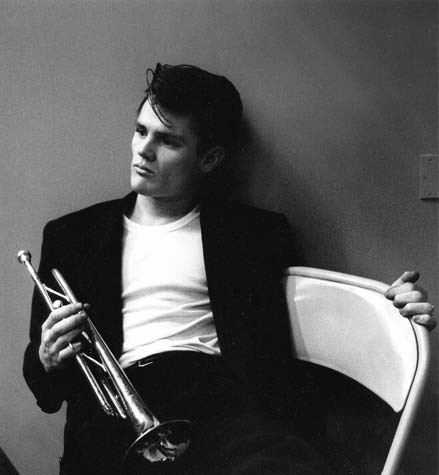 But in these two-and-a-half octaves, I can say everything I have to say.” -Chet Baker. As a singer, Baker rather than trying to interpret lyrics, Baker attempted to cast a dreamy spell. 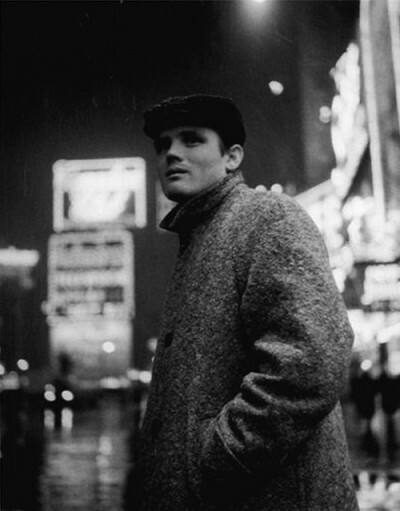 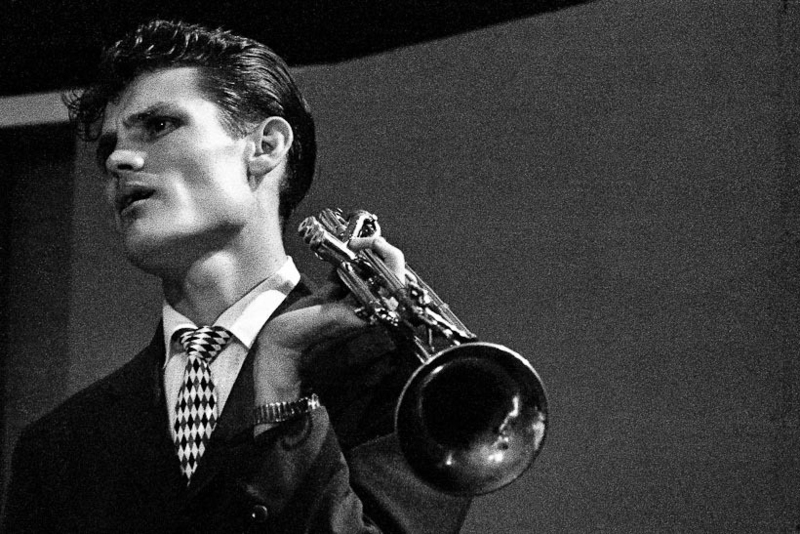 Travelling with the elusive jazz vocalist and trumpeter Chet Baker, photographeer and film maker Bruce Weber weaves together the life story of this jazz great. The film uses excerpts from Italian B movies, rare performance footage, and candid interviews with Baker, musicians, friends, battling ex-wives and his children in what turned out to be the last year of his life. During the 60s he was forced to learn to play the trumpet all over again after his teeth were knocked out in a fight over a dope deal in New York. Chet Baker died a mysterious, drug-related death in Amsterdam on Friday the thirteenth, 1988. 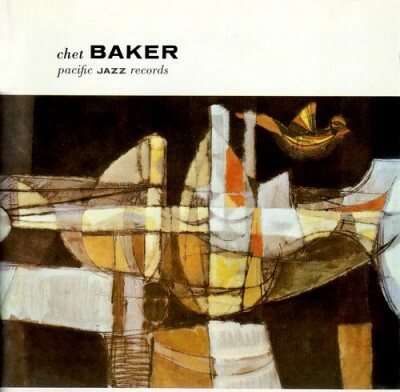 Despite all his problems and the fact that his skills steadily declined until he died, mysteriously, in Amsterdam in 1988, Baker continued to fascinate other musicians, including some who were far more gifted.